MIs in the churchyard were transcribed by Mike Berrell in 2001. Copies are held by Derbyshire FHS, the Derbyshire Record Office, and the Society of Genealogists Library, and they may also be viewed online as part of Marjorie Ward's collection of North West Derbyshire Sources website. 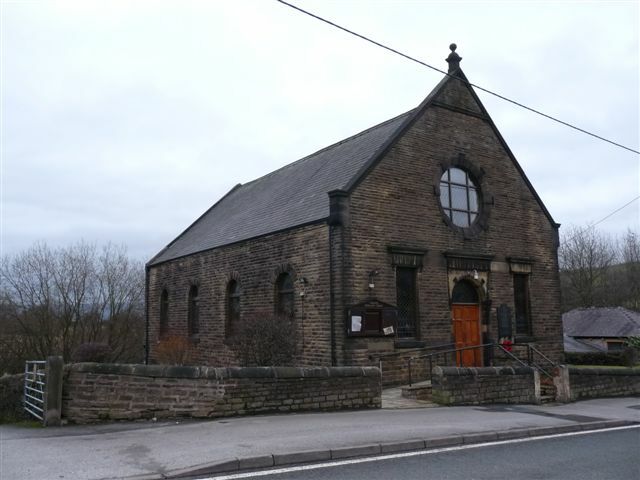 Chisworth Methodist Church, Chisworth, Glossop shown on a Google Map. I have found many websites of use whilst compiling the information for this database. Here are some which deserve mention as being of special interest for Chisworth, Glossop, and perhaps to Local History and Places of Worship as a whole. Information last updated on 17 Jan 2011 at 16:24. 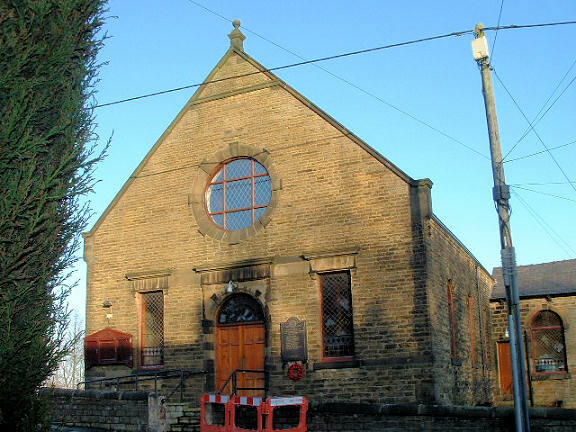 Please also remember that whilst the above account may suggest that Chisworth Methodist Church remains open and accessible, this may not remain so. This Report was created 26 Mar 2019 - 21:29:13 GMT from information held in the Derbyshire section of the Places of Worship Database. This was last updated on 6 Feb 2019 at 15:49.